Setup a widget for each purpose. Enter the email adresses of *all* your friends. 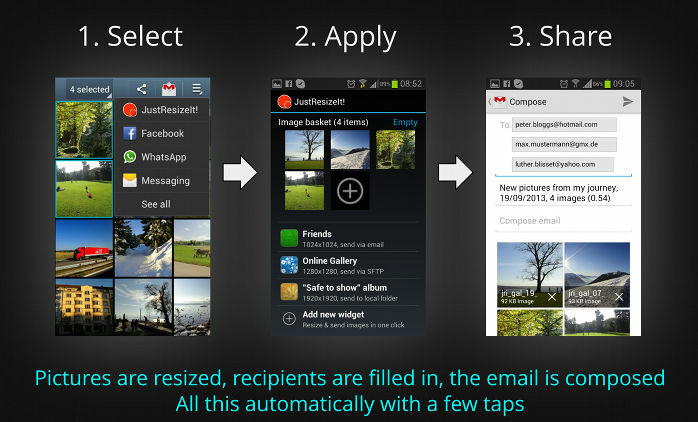 Whenever you tap on the widget, the selected pictures will be resized and sent to all your friends by email. Enter the URL, username and password of your server. Whenever you tap on the widget, the selected pictures will be resized and uploaded to your online gallery. 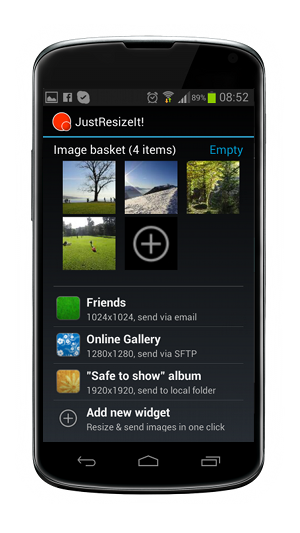 Example "Safe to show album"
Create a new album for pictures that can be shown to everybody. Whenever you tap on the widget, the selected pictures will be added to the safe album. only one widget can be set!